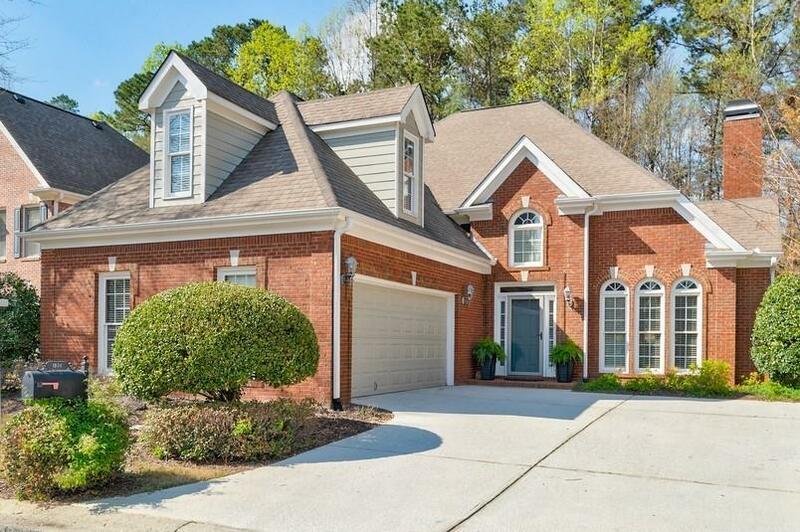 Beautiful 4-Sided Brick Home Nestled on a Cul-de-sac Private Level Lot, Master on the Main Level, Great Dunwoody Location! Cluster Home, Open Floor Plan, Close to Brook Run Park, Walking Trails, Playground and Dog Park, Easy Access to I-285, Courtyard Entrance into Garage,Two Story Foyer with Lots of Natural Light, Beautiful Family Room w/Vaulted Ceiling & Marble Fireplace, Kitchen w/White Cabinetry, Bar & Separate Breakfast area,Spacious Dining Rm,Hardwood Flooring,Open Loft/Office Space,Additional Huge Bonus Rm for Exercise or Playroom, Large Secondary Bedrooms. Directions: From I-285 Take N Peachtree Road North To Left On Peeler Rd To Right On Adams Rd To Left On Village North Rd To Right On Village N Court To Left On Northbrooke Lane House On Right.